The Group Managing Director/CEO of Polaris Bank LTD., Mr. Tokunbo Abiru, has stressed the importance of staff training as the bedrock of a strong financial system and institutions. Abiru made this known at the graduation ceremony of the first set of 61graduands from Polaris Business School, the Bank’s Training School in Ibadan, at the weekend. The Director noted that adequate and regularly training of staff is required to to know the values they stands and also the kind of understanding that they must bear. According to him “You have to train your people properly and let them know the values that you stand for and also the kind of understanding that they must bring to bear when they are coming to the real world and the workplace, in particular ,” he emphasised. Addressing the new staff who came through the popular graduate trainee route, of the combined streams 43 and 44, of the Polaris Graduate Intensive Training (PGIT) respectively, the Polaris Bank GMD, advised them to place very high premium on ethics and corporate governance as a major part of what shapes anybody’s career in an industry like the financial institution. 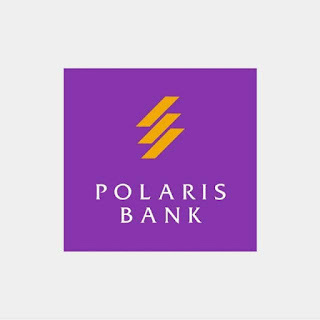 Earlier, Polaris Bank’s Head of Human Capital Management, Mr. Taiwo Olupeka, said the 61 graduands were the successful lot among the over 20,000 applicants who sat for the bank’s recruitment test. The new employees who are fresh university graduates with diverse academic backgrounds and impressive academic records, have completed an intensive 9-week basic banking training program at the school based in Ibadan. A total of 61 fresh graduands successfully passed through the rigorous academic program and have forthwith joined the workforce of the bank after the necessary basic banking training program. Two of the new hires, Sandra Onachukwu and Chinonso Nwakaudu emerged best graduating students of the two streams and carted away the CEO prize for their brilliant efforts. Polaris Bank, a proudly Nigerian brand parades some of the finest and smartest human capital and talents in its rank in Nigeria’s banking sector - who are passionately driving it’s vision to attain leadership status in Nigeria’s retail and commercial space.